Flutter was created by Google in 2017 as one of the primary methods for creating high-quality native applications with rich native UI in less time. Apart from that it is highly capable of assisting in cross platform development projects similar to React Native. Its improved architecture and stand out implementation methods assists developers in creating rich and fluid experiences for both Android and iOS platforms. This can be rightly observed in applications that make use of the camera, Geolocation, network, storage and 3rd party SDKS. All of this attributes to latest standards in cross platform developments which can be accomplished using the flutter app development framework. 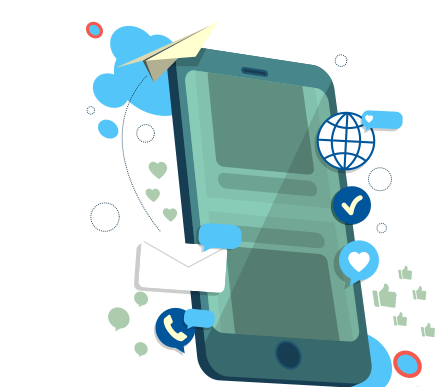 klifftechnologies is one of the top flutter app development company. Despite the recent existence of flutter compared to other frameworks, we have still managed to get accustomed to its styles and methods of functioning thereby making us one of the best flutter application development companies. Our diverse and experienced team of developers can help sketch you the smartest and quickest solution for your cross platform development projects and bring to life the expectations you aspire for your projects. We have been known far and wide for our endeavors taken under flutter frameworks. Flutter support calling into a platform and can easily integrate with your native iOS or Android code. This lets you have a wider scope of plans for your pre existing projects besides the ones that start from scratch. Though companies develop their own security measures and guidelines for online payments but iOS makes the online transactions more secure by offering enhanced security for its users. Apple encrypts online data and remove threats like phishing, hacking etc. thus improving business sales and productivity. Similar to react native or plenty of other frameworks, Flutter too adopts the “write once use anywhere” motto of development. This lets you quick access to your platform requirements and helps saving you lot of time and effort. Smoother integration and smart architectures make development a fun and constructive process for clients as well as developer. This enables good communication and ability to improvise mid phases.